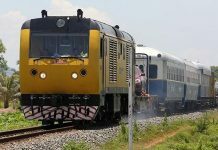 Zsombor Peter, an associate editor from Canada, and Aun Pheap, a Cambodian reporter, were ordered to appear for questioning at the Ratanakkiri Provincial Court on July 20, according to summonses delivered to the newspaper’s office in Phnom Penh on Thursday. They were issued by court prosecutor Chea Pich on June 28. Three men—Romam Yuot, then-Sam Rainsy Party (SRP) chief in O’yadaw district’s Pate commune; villager Sev Born; and another man, Rocham Yi—filed a complaint on May 22 accusing the reporters of “inciting to support the opposition party” and “violating our right of self-determination” while interviewing them on 2012 voting patterns. All three were questioned in court last month over their complaint. The two journalists reportedly were first called to appear at court on June 27 but did not appear as neither the reporters nor the Daily received any summonses. “We will of course talk with the prosecutor and will have a public comment when it’s appropriate,” the Daily’s general manager and general counsel Douglas Steele said on Thursday. Mr. Pich, the prosecutor, said he was too busy to comment on Thursday. Hak Huon, court spokesman and deputy prosecutor, said he was unaware of any developments in the case. 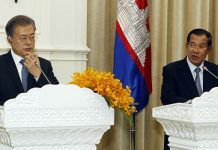 Nathan Thompson, president of the Overseas Press Club of Cambodia, raised concerns on Thursday over the summoning of the two reporters, who have won awards for their reporting on illegal logging in Cambodia’s rural provinces. 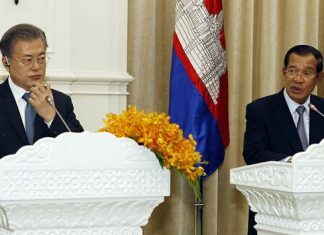 “It’s concerning to think two well-respected reporters have been accused of ‘incitement’—a charge associated with silencing opposing voices in Cambodia—while doing, by all accounts, a routine reporting job,” he said in a message. “I hope their names will be cleared soon,” he added. 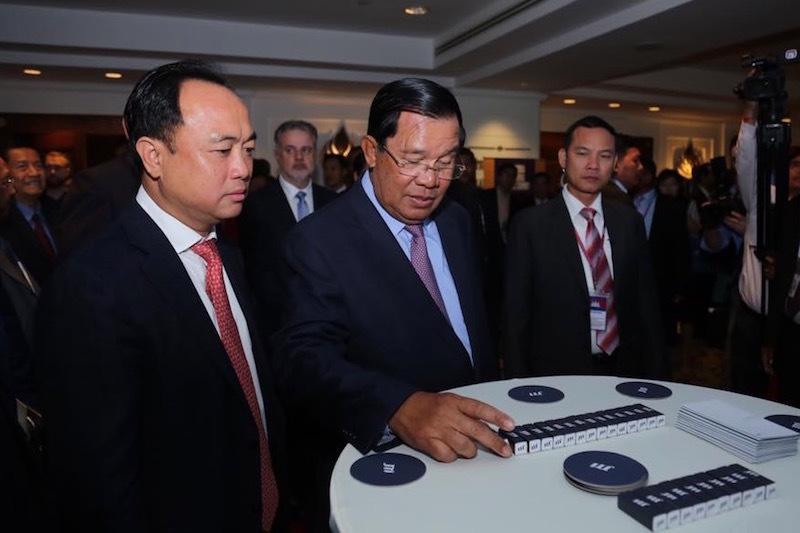 Information Minister Khieu Kanharith had posted a photograph of Mr. Peter’s passport to his Facebook page in May, warning journalists to abide by election laws even as it remained unclear how the reporters’ line of questioning may have broken laws. The post was later removed. Pate was the only commune in Rantanakkiri to vote in the SRP in the 2012 commune elections, but was won last month by CPP candidate Chhay Thy, who had made a surprise jump to the ruling party in January after years of being a thorn in the side of the government as provincial coordinator for rights group Adhoc. Correction: This version clarifies reference to Chhay Thy’s political affiliation in last graph.